Are you a “Rabbit”? This animal keeps the fourth position in the Chinese Zodiac cycle. 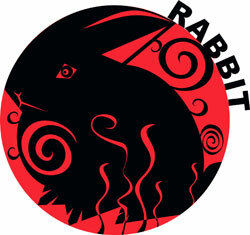 For a long time, the rabbit is seen as a tame creature which represents for hope, longevity, discretion, and fortune. According to Chinese Zodiac Rabbit Personality, people born under this sign are kind-hearted, intelligent, cautious, friendly, skillful, gentle, and quick. It’s easy to make friends with them since they’re approachable. Instead of arguing with others, the Rabbits dislike fighting and tend to find solutions through negotiation and compromise. Among 12 animal sign, this creature is the most delicate one. However, on the negative side, Rabbit people sometimes have the potential to be stubborn, superficial, overly-discreet, and melancholy. For more ideas regarding the Rabbit’s love life, finances, and career, please visit Chinese Zodiac Rabbit 2017. It’s quite difficult to provoke those who’re ruled by this zodiac sign since they’re always calm (most of the time) in different situations. They enjoy a silent, peaceful life with no fighting force. If you look close, they’re also sentimental and compassionate…yes, of course they cry easily too. The Rabbit natives can be moved just by your shared personal problems. It’s true that they’re extremely cautious and timid – before undertake a specific task, they need to find out the pros and cons from every angle. Because of such characteristics, they normally do well in work. For people who want to enjoy a normal, average Rabbit life, please abandon their conservative nature. As a “Rabbit”, you always impress others with an image of grace, sensitive, and tenderness. 2017 Personality Predictions for Rabbit said that you demand a high quality in life; and in love affairs, you may be a romantic person. You have a tendency to avoid making arguments; in most situations, you’ll communicate gently to clear the misunderstandings between you and the others. At workplace, you can work with speed and efficiency. However, at certain times, you may lose many chances because of the hesitation. When contacting with the Rabbits, you can realize that they’re pretty kind and sweet. In the topic “Chinese Zodiac Rabbit Personality“, once again, we have a chance understand this animal more. Never lose such a good company like Rabbit! Chinese Zodiac Rabbit Years – What Do You Need to Know? For Chinese people, the bunny is considered as a tame creature (because it’s tender and lovely) which can represent hope and fortune. This animal ranks the fourth in the 12-year cycle of animals which appear in the lunar calendar. People who were born under the Chinese Zodiac Rabbit Years are not aggressive or arrogant; instead, they’re approachable and have a decent, noble, as well as elegant manner. The years of this innocent animal include: 1915, 1927, 1939, 1951, 1963, 1975, 1987, 1999, 2011, 2023…According to 2017 Yearly Predictions for Rabbit, people with the bunny sign have gifted the ability of impressing others by using their grace, tenderness, and sensitive. In relationship, they’re pretty romantic; and in life quality, they have a high expectation. The Rabbit natives are rarely involved in arguments, since they have a capacity of converting an enemy into a friend. Most of the time, they prefer stay at home to going out. In work, these people can work with speed and efficiency; however, they seem to be hesitant – that makes them lose good chances. Can the Rabbit have fortunes in the year 2017? – The luck keeps pleasant like in the previous year. If you still have confidence in taking new challenges and looking for more changes, the ambitions will be realized easily. You don’t have to worry about the money since a stable income (from the job) will support your life. Comparing to 2016, you may have huger expenditures. Love will open many doors, so try to adopt a more active attitude but not hesitating. 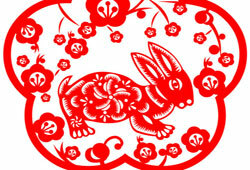 For additional information about Chinese Zodiac Rabbit Years, leave your comment in the box below. Stepping to this Monkey year, the Rabbit natives will have a lot of fortunes to accomplish all the jobs smoothly & easily. Together with great effort and talent, your career will be brought to a new milestone. And, according to the Chinese Zodiac Rabbit 2017 Forecast, you should be prudent and carefully in financial management; also, there will be small twists and turns if you go out the year 2017, i.e. loss of luggage, weather changes, etc. During this period, remember to keep your tongue in your jaw and your toe in your pump, and it’ll be a year full of joyous occasions. 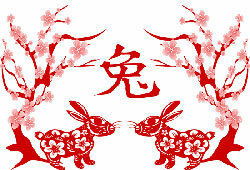 Among 12 Chinese zodiac signs, the luck of a Rabbit is always of much prosperity. No matter what situations they’re involved in, they’ll get help from people (including friends and family). Your fortune in money is also favorable, so you can keep some savings in this Monkey year. Comparing to 2015, you would gain huger expenditures; and stable income will support your life. When it comes to love, don’t be hesitant; instead, have attractive attitude towards the one you adore. Best love matches for the Rabbit: You should consider these animal signs, the Monkey, Dog, Sheep, and Pig. In the 2017 Chinese Zodiac Predictions for Rabbit, the astrologers stated that these animals have high compatibility rates. Sharing the same goals and ambitions, they know how to make the relationship last long and fresh. When living together, they can become more considerate and tolerant – their marital life will be sweet and happy. Bad matches for the Rabbit: You can’t form a beautiful affair with the Snake or Rooster since you two will suffer from a series of disagreement and conflicts. Both feel suppressed in marriage life. As mentioned in Free RabbitHoroscope 2017 Reading, career luck is on your side during the current year, so take advantage of the fortune and gain more successes in the office. What’s about the health? No need to worry much, but you still need to refrain yourself from bingeing on food since overeating may cause terrible problems to your condition. Leave the feedback in the contact form below if you have any confusion about the Chinese Zodiac Rabbit 2017 topic.